It is an invaluable privilege to be invited to compose the Preface of this e-Book on "Radiological Anatomy, applied in Diagnostic Imaging" of relevant application and indispensable interest for Dentistry / Medicine. 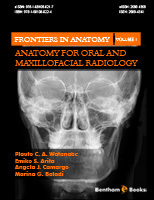 The book is available to the community specialized in Dental and Medical Radiology (and related areas) for undergraduate and graduate students, as well as professionals as general or specialized clinicians and for teachers at any stage of their academic career. The indisputable merit of the Brazilian dental literature in filling gaps that provide an adequate source of up-to-date and qualified knowledge should be highlighted by the dedication, competence and herculean commitment of the associate professors Emiko Saito Arita (FOUSP) and Plauto Christopher Aranha Watanabe (FORP-USP). If arduous research activity is also important to enrich teaching and care, no less significant is to consolidate and socialize the respective knowledge through this book. Between these two approaches, the other chapters deal with various aspects of radiographic techniques that are always dependent on full domain of the craniofacial anatomical bases in procedures with specific diagnostic purposes. In addition to its content, it is possible to emphasize the drafting writing promoting easy and pleasant reading, numerous and careful documentation & comprehensive and updated bibliography. Professors Emiko Saito Arita and Plauto Christopher Aranha Watanabe prove, once again, the respective academic merits that further value the acknowledged distinction enjoyed by the University of São Paulo. Dental imaging and radiology is a compulsory discipline in any dental curriculum. We intend with this e-book to include the student of this area, professionals of dentistry and medicine, in a way more digestible to such a generation "Y", besides, of course, to make a more visual reading of the content, with a large amount of images for these professionals. Not by chance, it is an academic didactic material of dental imaging and radiology. Radiography is still the main diagnostic tool for dentistry and often for medicine. Thus, all the specialties and the general practitioner make routine use of this examination, aiming to collect, observe and interpret data for the construction of the diagnosis. We will address the subject at the basic / intermediate level, which will certainly include the specialty, professionals and also the graduate. This academic didactic material will be covered in basic (more technical) radiology and also in diagnostic radiology (radiographic interpretation). It is our proposal to primarily target this content to the internationally recommended profile, that is, to contribute to the training of health professionals, with a generalist, humanistic, critical and reflexive education, to act at all levels of health care, based on rigor Technical and scientific, always emphasizing that in teaching, theory is inseparable from practice.